He’d never make it. That’s what Charlie Peters had to be thinking when he looked in his wallet and realized he lacked cab fare back to Manhattan. It was spring 1968, and he was in town trying to hustle up money for a political magazine he wanted to launch — a magazine that would “help [readers] understand our system of politics and government, where it breaks down, why it breaks down, and what can be done to make it work.” He’d talked to a couple of potential backers but had pried nothing loose. Peters doesn’t give up easily, however, so he decided to place a last call to his hotel room from the airport before returning home to Washington, D.C. A message: Louis Marx Jr., a successful oilman and son of the toy maker, would see him at 5 p.m. at Marx’s midtown Manhattan office. It already was 3:30, Peters was standing there at LaGuardia in a panic to get back downtown ... and he didn’t have cab fare. Peters did indeed launch his magazine, and this year the Washington Monthly has been celebrating its 20th anniversary — its first issue came out in January 1969, two days after the first Nixon inauguration — with a series of special issues and the publication of Peters’ autobiography, Tilting at Windmills. The Monthly itself is still aimed primarily at helping readers understand America’s system of politics and government, often via anthropology-inspired dissections of Washington bureaucracies. It’s a political journal, certainly, but one that focuses on examining government as it is actually practiced, not on debating general political theory. Its 60 or so pages each month consist chiefly of a handful of feature stories, a couple of longish reviews of political books, advertising (mainly for books and other periodicals), and Peters’ monthly column, a potpourri of short, sometimes humorous tidbits on whatever happens to be on his mind in a given month. 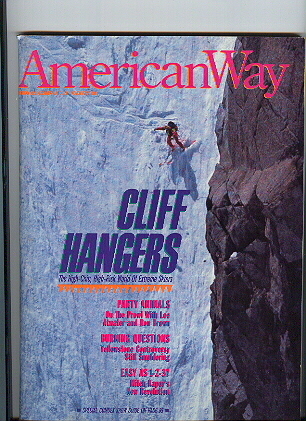 The magazine never has been very profitable — its half-million dollars or so in annual revenue keeps it barely in the black — and its circulation is a puny 30,000. Yet in certain regards, Peters’ little magazine has been enormously successful. The Monthly’s paid subscriber ($33 per year) include an unusually high number of journalists, business leaders, politicians, and others who shape public opinion, among them Roone Arledge, David Brinkley, Jimmy Carter, Mario Cuomo, Malcolm Forbes, John Kenneth Galbraith, Katharine Graham, Jack Kemp, and George Will. More important, perhaps, is the Monthly’s role as “the best journalistic farm team in America” (to quote author Ken Auletta). Many confuse neoliberalism with neoconservatism, a nice bit of irony in that Peters claims he coined the term “neoliberal” — at the Monthly’s 10th anniversary reception, after having had “more than a few” glasses of wine with dinner — to distance his magazine from Columbia classmate Norman Podhoretz and the neoconservative movement that Podhoretz was championing. In general, neoliberalism has come to describe a sort of high-tech middle-of-the-roadism, a way for Democrats to inch toward Reaganism and have themselves considered “pragmatic” instead of “liberals.” Peters, of course, has a nobler idea of what neoliberalism means and how it differs from neoconservatism. Peters, 62, provides this explanation at the Monthly’s ramshackle offices off DuPont Circle in the nation’s capital. He’s dressed in a dark business suit and casual black walking shoes, and seated at what serves as his desk, a long wooden table fronted by a row of books. 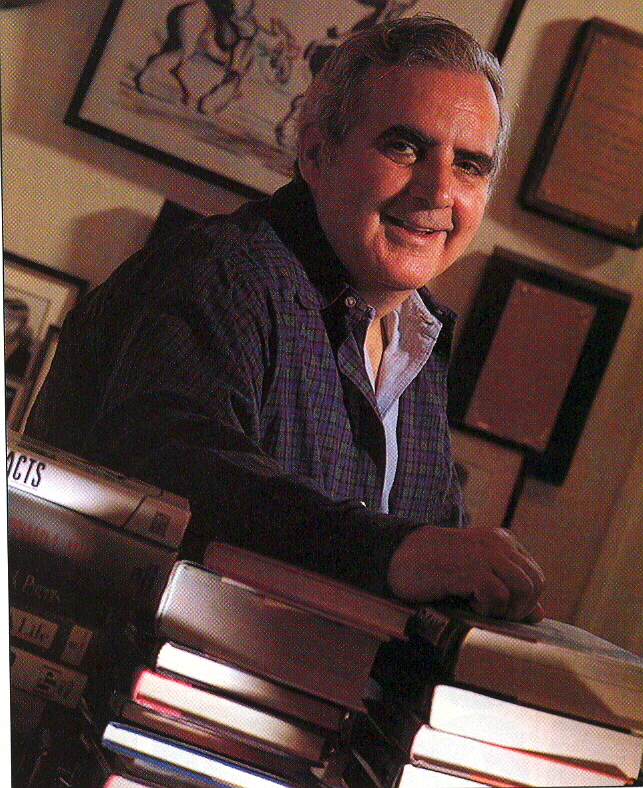 Behind him are three prized possessions: plaques naming him 1980 West Virginian of the Year and winner of the 1978 Columbia Journalism Award (given each year by the students at Columbia University’s prestigious journalism school), and an autographed photo of Peters shaking hands with JFK during the 1960 presidential campaign. Peters is about to walk through his “gospel,” the in-house name for Washington Monthly political philosophy. Other Monthly gospel: Unions aren’t always right, and the Democratic Party only damages itself when it pretends otherwise. Patriotism and entrepreneurism are good things, not the embarrassments Peters says ’60s-era liberals perceived them to be. Peters would like to see a military draft (with draftees given the option of some type of non-military service such as the Peace Corps), if only to force people from all strata of society to meet and cooperate with one another. Student loans, Peters believes, should be long-term, paid back over 30 years or more by the student as part of his or her federal income tax. That would make students take their studies more seriously and encourage parents to quit making “hideous moral compromises” involved in taking jobs they don’t believe in to help finance junior’s education. Two things become quickly apparent as one listens to Peters. First is the extent to which various points of Monthly dogma have been accepted by liberal Democrats and/​or the general public over the 20 years Peters has been pushing it. Patriotism is less a dirty word to the liberal elite than it was toward the end of the war in Vietnam. And today’s liberals are less inclined to view “all entrepreneurs as robber barons or Babbitts,” Peters says, having realized that the tax revenue needed to pay for their “wonderful social programs to feed the hungry, educate the poor, and all these things” required a vibrant economy, which in turn requires entrepreneurs. The second thing is how much of Peters’ gospel comes directly from his personal experience. As he puts it, his views are “not just something I sit around dreaming up because I read it in a book somewhere. I saw the realities that made me think the way I think.” Thus, Peters’ belief that not all criminals are capable of rehabilitation stems from his experience practicing law in West Virginia. His belief in a military draft comes from his time in the service, which taught him that poor people as a class were as noble and deserving of respect as anyone else. His belief that the best teachers often don’t have education degrees was confirmed when he and Beth, his wife of 32 years, enrolled their son, Chris, in Georgetown Day School in 1969. Like many private schools, Georgetown Day School doesn’t require its teachers to have teaching certificates. Some of Peters’ most important lessons were learned in the Peace Corps, where he headed the Evaluation Division. His division turned up problems overlooked or ignored by those higher up the chain of command. He realized that to get at the truth of what was actually happening in the field, he needed to send independent evaluators to observe what went on, not rely on what the supervisors in Washington told him. The evaluators — including such part-timers as journalists Richard Rovere and Calvin Trillin of the New Yorker — encouraged the grunts in the field to speak up and forced their superiors to “listen down.” When Peters launched the Monthly, he wanted his reporters to take a similar role in investigating the implementation of government policy. Another important lesson the Peace Corps taught Peters was that it’s possible to get talented and idealistic young people to work hard and well for peanuts. Without this, the Monthly could never have survived. Peters has taken two mortgages on his house and numerous loans from wealthy benefactors (Marx is the Monthly’s biggest financial backer, with 60 percent of its stock, but other big-name, big-money backers in the early days of the magazine included John “Jay” Rockefeller IV and Nebraska investment wizard Warren Buffett), but those loans and mortgages wouldn’t have been enough had he not been able to persuade a succession of young editors to work for him at a salary of $8,400 per year. James Fallows arrived in 1972, “a time of particular poverty,” and was paid only $7,200. In August 1986, salaries were raised to $10,000 for the editors — there are usually three on staff at a time — and $24,000 for Peters, who had been paying himself $20,000. Like Peace Corps volunteers, Monthly editors put in about two years of hard work and then move on to something else. In the case of Monthly editors, “something else” usually means an important position in mainstream journalism. This commonplace payoff has made it increasingly easy for Peters to find new blood. In fact, some editors give up good jobs to work at the Monthly. In 1983, Timothy Noah (now of Newsweek) quit a $35,000-a-year job as assistant editor of the New York Times’ Op-Ed page to work for Peters, and Jason DeParle (now of the New York Times) had been a reporter for the Times-Picayune in New Orleans and was in the Philippines on a Luce Fellowship when Peters summoned him to Washington. What does Peters look for when making his hires? Strong backgrounds in history and English literature, for one thing. “I want them to acquire all the vicarious experience they can, which good literature and good history does — gives you vicarious experience. And to enrich writing, you have to either have experience of your own or have it through somebody else. If you’re just sitting in a class about how to write a news story or how to write a novel, you’re not getting any kind of experience.” Law school is OK, provided the applicant is “smart enough to have gotten out of it. ... I have great respect for what you learn in a good law school as far as thinking goes. One year in a good law school is desirable for anybody, because the American educational system fails to teach how to think generally, and a good law school does that. On the other hand, three years in a good law school could destroy your prose” — he starts chuckling — “so that’s a good reason to go one [year] and get out.” One more thing is considered “essential” by Peters, whose favorite books are Don Quixote and The Adventures of Huckleberry Finn: a sense of humor. It’s not just the ideologues of the left and right who knock the Monthly. Many of the magazine’s supporters are chagrined by the paucity of women and minority editors who have worked at the Monthly (three and none, respectively; Peters attributes this to these groups’ unwillingness to work for his magazine’s insultingly low wages). Not even the alumni are willing to swallow the gospel whole. When, for the March ’89 issue, the Monthly asked 16 of its past editors, “What’s wrong with this magazine?” 11 of them responded with essays. Among the responses: Kinsley argued against a military draft (“The Rich Don’t Serve — So What?”); Jonathan Alter said Peters’ Peace Corps-inspired “speak up, listen down” stratagem didn’t work when he tried to apply it at Newsweek (“I’ve Tilted at Windmills, and the Windmills Won”); and Nicholas Lemann wrote that the ideas espoused by the Monthly are basically good ones, but that so far only the liberal elite are buying them — and that’s not going to get anyone into the White House (“Act II, Winning an Election”).